A playful, gooey activity the little ones will love. 1. Pour the glue into a medium bowl. Stir in the food colouring and glitter, if desired. 2. Add the baking soda to the glue mixture and stir until smooth. 3. Pour in 2 tablespoons of the contact lens solution and stir slowly. The mixture should begin to harden, becoming stringy. 4. Continue mixing slowly until a ball of slime forms. 5. 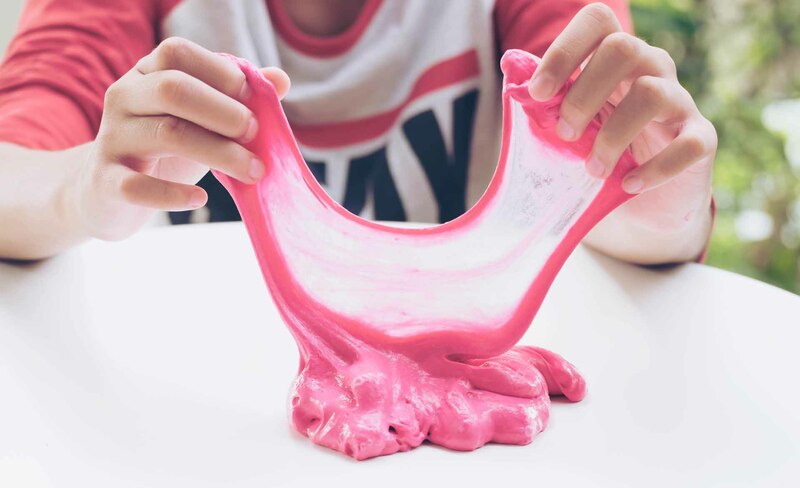 Pick up the slime and work between your two hands, until smooth. If the slime is particularly slimy, work in another ½ tablespoon of contact lens solution as needed.